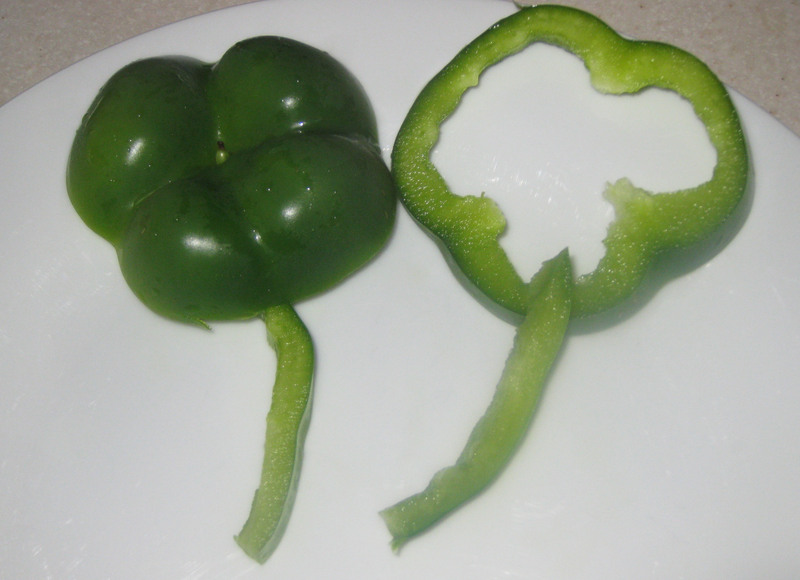 I cut up a green bell pepper to resemble a four leaf clover. I purchased a green pepper that looked like it would have four “leave”s, but as you can see when I cut into it, I only got a three leaf clover. 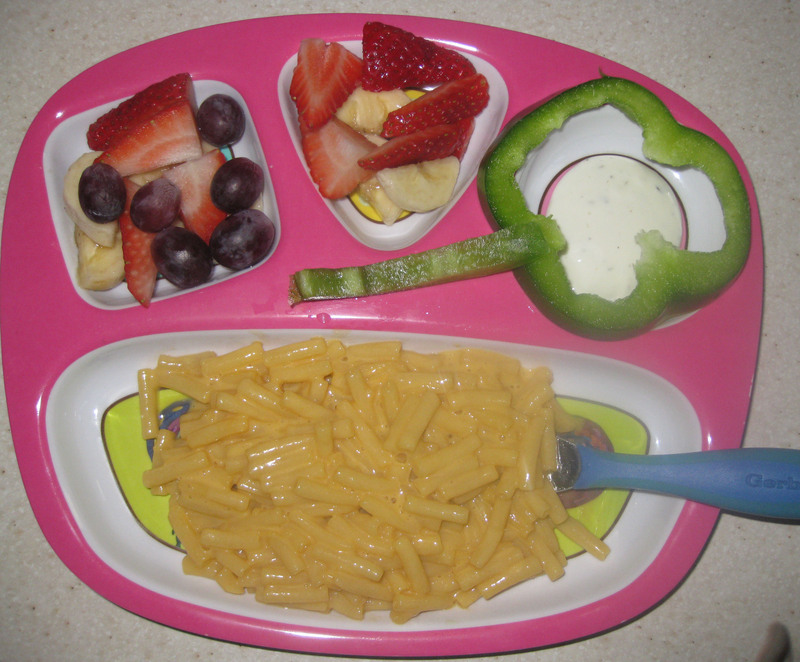 Maybe finding a four “leaf” pepper is just as lucky as finding a four leaf clover? Happy St. Patrick’s Day! 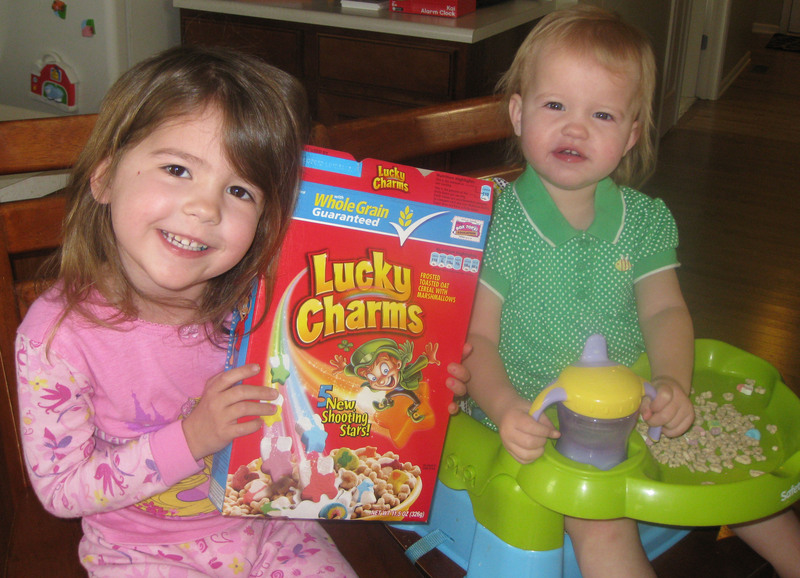 We started off our day eating Lucky Charms and drinking green milk. 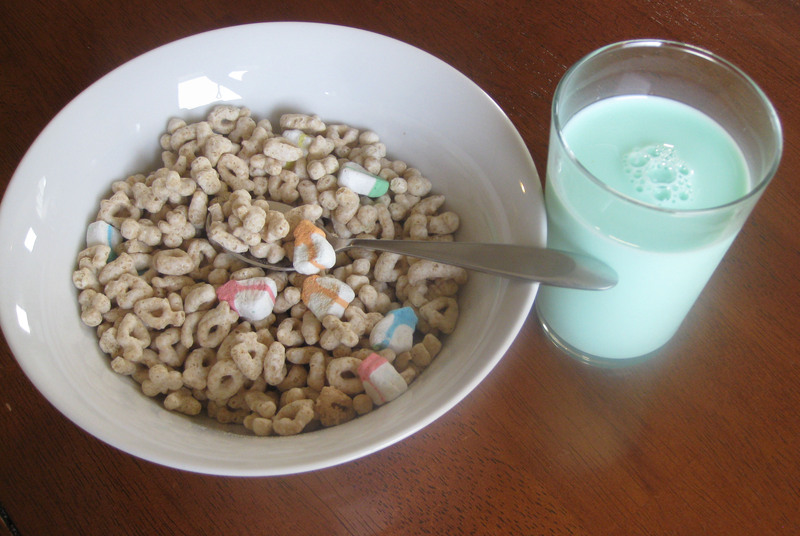 Now I know why my parents would never buy Lucky Charms. My girls ate all the marshmallows and left the rest! At least they drank all the green milk!